Omnitronics’ latest dispatch console, the exciting new RediTALK-Flex, has made its first International sale within hours of its official release to Malaysian based communications supplier Tactical Communications (Tacticom). Despite being approached by another manufacturer, Tactical Communications sought Omnitronics to provide a solution due to its cost effectiveness and the ability to be tailored to their specific needs through the leveraging of multiple expansion options. 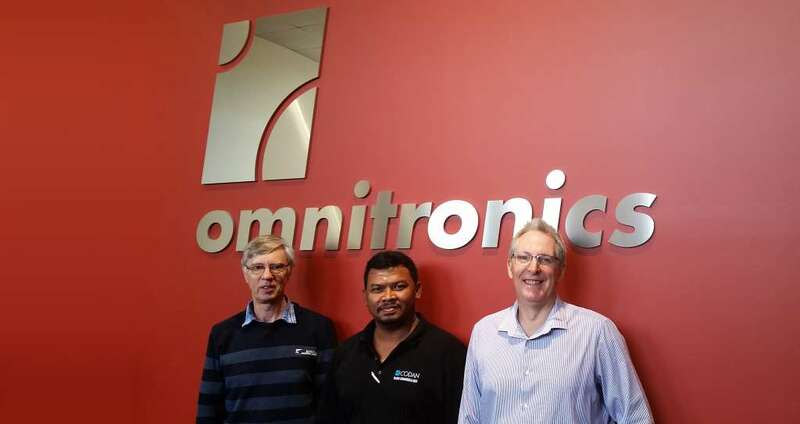 Another key factor in the final decision was the known reliability and effectiveness of Omnitronics’ ongoing technical support service, proving that customer support continues well after installation. L-R: Technical Support Officer Peter Shaw, Chief Engineer Weerut Srhidhara and Business Development Manager Micheal Parker. The chosen RediTALK-Flex application has been licensed with an additional 2 channel expansion pack, SIP telephone connectivity, radio-radio linking and radio-telephone patching. The system combines VHF, UHF and HF radios with a SIP BPX to ensure seamless communications across the network. – Zakaria Dahili, Managing Director of Tacticom. RediTALK-Flex is designed, coded and produced in Australia by Omnitronics’ team of award winning software engineers. Extensive discussion with key customers has resulted in multiple expansion options to suit many differing markets and applications. RediTALK-Flex is available worldwide through Omnitronics’ extensive reseller network. You can find out more about our latest dispatching application here.